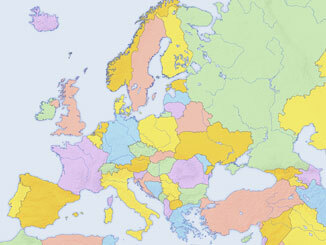 Spain’s minority PSOE (socialist) government has fallen and new elections are scheduled for 28 April. 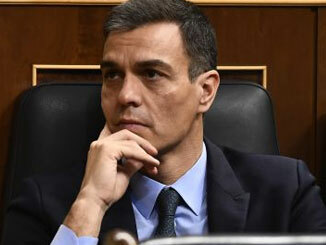 The arrival in office of new prime ministers, Giuseppe Conte in Italy on 1 June and Pedro Sánchez in Spain on 2 June, reflect the increasing turmoil that has entered European politics. The attempt of the Catalan independence movement to hold a referendum has been met with brutal state repression. 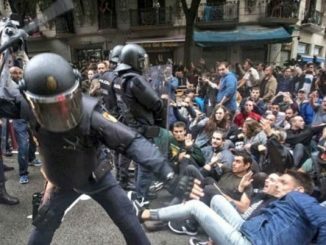 The Madrid government used Guardia Civil forces from outside the region to block voters and attack them, seize ballot boxes and smash up polling stations. 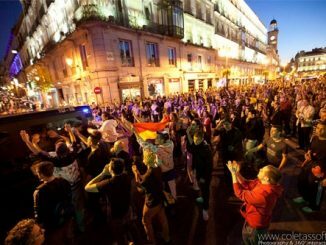 TV footage of unarmed protesters and voters being brutally assaulted have now been seen worldwide, despite the ludicrous denials of ministers in Madrid and their spokespersons. The outcome of the Spanish general election is unclear as no major party has an overall majority or even an obvious political partner(s) with which it could form one. The poll overall represents a shift to the left, but a shift insufficient to place the anti-austerity forces in government. 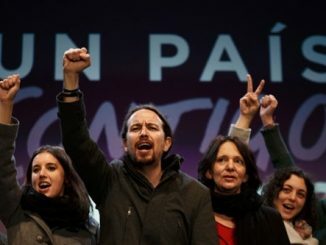 The results of the Spanish municipal, local and regional elections on May 22nd were a defeat for the ruling socialist government of the PSOE (Party of the Spanish Socialist Workers) – but they were not a major victory for the Right, led by the Partido Popular (PP). PSOE received just 27.8% of the vote, down from 35.3% in the same elections held in 2007.